Dutton Park is famed for being a beautiful riverside area with a great community feel. It was reported in the Courier Mail in 2017 as being Australia’s third most liveable suburb, coming after only St Kilda and South Brisbane. The area is rich in history with Boggo Road Gaol transformed into a great museum (well-worth visiting) and locals enjoy the cafes and eateries located along Boogo, Gladstone and Annerley Roads. 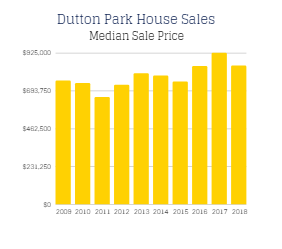 Dutton Park covers approximately 1.1 square kilometres with its two parks (Dutton Park and Gair Park) occupying a generous 9% of the total area. The park connects Dutton Park to the University of Queensland at St Lucia by the Eleanor Schonell Bridge, better known as the Green Bridge. The Green Bridge is the first bridge in Australia exclusively designed for buses, cyclists and pedestrians. Due to Dutton Park’s central location, residents are spoiled for choice when it comes to public transport. The area is serviced by 9 different bus routes going through either Dutton Park Place busway station and the Boggo Road busway. Trains are within easy walking distance with Dutton Park Station located on Railway Terrace, in front of the Princess Alexandra Hospital. Households in Dutton Park are primarily professional couples (aged 20-29 years) and there are also many young families drawn to the great local atmosphere and strong reputation of Brisbane State High School and other fantastic schools in the suburb. The State Government released details this year of their new Inner City South State Secondary College which is scheduled to be completed by January 2021. This development will surely make Dutton Park an even more popular suburb than it already is. The population is currently sitting around 2000 with 61% owner occupiers leaving the remaining 39% renting. Throughout the course of 2018 we have seen house sales follow a similar pattern to the 2017 sales. Only three houses were reported to have sold in the first quarter of the year and the median sale price is sitting in the mid $800,000s. Demand for houses in the area is huge as the relaxed lifestyle, close proximity to CBD, and access to quality schools in the area is extremely attractive to young families. 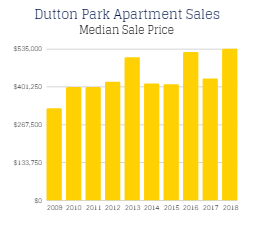 The popularity of Dutton Park keeps growing and it appears that price of apartments in the area remain strong. With a median price of under $550,000 buyers are keen to be part of the action and are seizing the opportunity to own so close to the City. Potential owner occupiers love Dutton Park’s easy access to local universities, hospitals, and the CBD, whilst investors can look forward to earning some great rental returns and future long term growth.